[PDF] My Life in and out of the Rough: The Truth Behind All That Bull**** You Think You Know About Me | Free eBooks Download - EBOOKEE! Description: This great book chronicles one of the most important problems confronting scores of the world's population today. Untreated alcoholism and it's many manifestations. 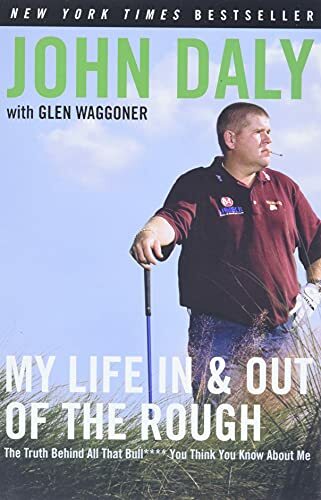 As this interesting book reveals time and time again, alcohol is the culprit behind the insanity of a very gifted but very ill man named John Daly. What little time he spent without ingesting alcohol of any kind...not just Jack Daniels...his life got better. And each and every time Mr. Daly picked up...his life got worse (as demonstrated by his performance this year on the PGA Tour). An alkee in his cups can only perform at about 30 percent of his or her ability...until all becomes impossible. Mr Daly has achieved enormous success using 30 percent of his God-given ability. Read the book...and see how King Alcohol really works. Unfortunately, John is still in denial and his life will continue to get worse. No comments for "[PDF] My Life in and out of the Rough: The Truth Behind All That Bull**** You Think You Know About Me".